Home vulnerability How I bypassed Facebook CSRF once again! How I bypassed Facebook CSRF once again! I found a vulnerability in Facebook that allowed me to create arbitrary form in Facebook that send a POST request with CSRF token to any Facebook endpoints or external hosts! It was very similar to this bug which I found in 2015.
and if an action request doesn't that token, Facebook will drop the request without any process on it! I found this vulnerability in Continued Flow section of Lead Ads! A continued flow lead ad means the final step is completed on the advertiser's website. The lead ad will collect all of the data provided and pass it to a destination URL using a hash or POST request. This is valuable for flows where you need data that Facebook is unwilling to collect (e.g. passwords for creating an account). 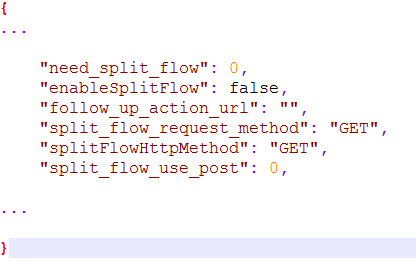 Facebook's post method was used in continued flow and in the method, fb_dtsg added to every request. So we need to create a continued flow lead ad and according to the document this is only available to whitelisted users. But I bypassed this restriction with a simple trick. 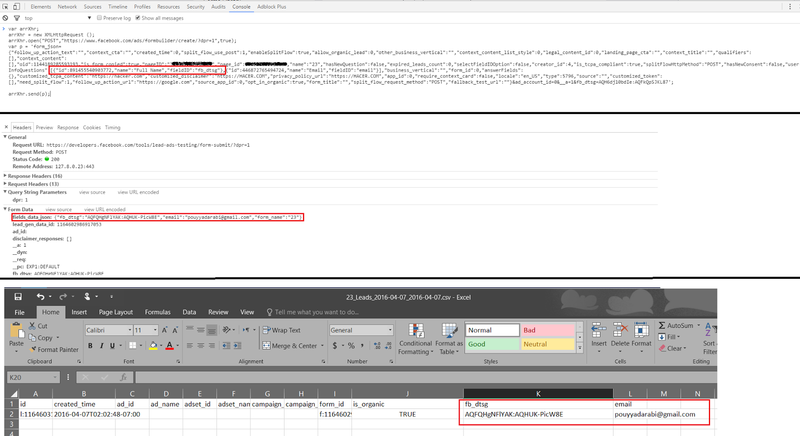 Whenever a user creates lead ad form, a JSON object contains data were sent to create endpoint. I added these keys to frombuilder json with modified values, form created with continued flow. Finally I tested it with Facebook Tools and it worked! YouTube removed the original video due a unknown reason! Apr 07 2016 : Fun part sent! Apr 13 2016 : Facebook security team rewarded me with a $7,500. az tarighe mail dar ertebat bashid. Det bedste luksusmærke i verden ser Billige Ure Online salg af højeste kvalitet! Hvis du vil have disse ure på dit håndled, men stop på grund af deres høje pris. Så stop venligst dine trin, dette er dit mest korrekte sted.